DRAMs: Is a Price War Looming? 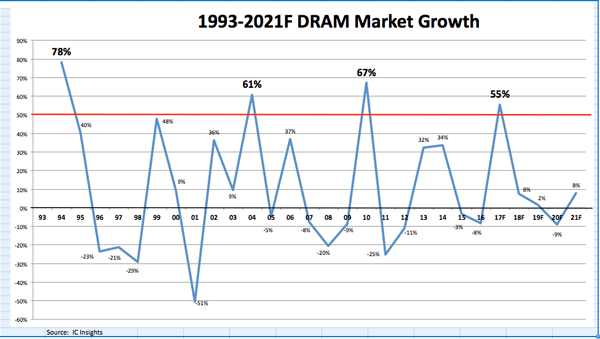 There are early signs that a price war is looming in the DRAM market, and it should be no surprise considering the cyclical nature of the memory device industry. 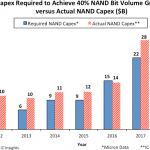 DRAM prices have been steadily rising for about a year, but that upward trend may be coming to an end with planned capex and production capacity increases, which could eventually lead to lower and more stable pricing. 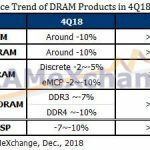 Faced with DRAM expansion efforts by SK Hynix, it may not be long before Samsung and Micron start to add DRAM wafer start capacity to protect their market share, according to market research firm IC Insights. However, buyers shouldn’t expect a big change in prices and inventory in the short term. As more suppliers add capacity, the average selling prices (ASPs) should begin to fall. 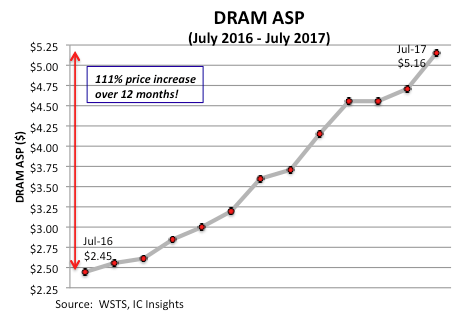 This is good news for buyers who have seen DRAM prices more than double in one year. 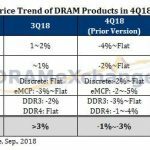 According to IC Insights, the 2017 price per bit of DRAM jumped by more than 40 percent, marking the largest annual increase in the DRAM market. Memory buyers are always on a rollercoaster ride when it comes to supply and demand. One of the key challenges they face is navigating price negotiations during undersupply and oversupply cycles. When there is an oversupply, buyers have the upper hand and can negotiate for the best possible price, but sometimes they do it at the risk of hurting their suppliers. Industry players say this isn’t a good strategy when trying to develop long-term supply relationships. But when it happens, suppliers don’t forget, and those buyers will hurt when there is an undersupply of inventory. 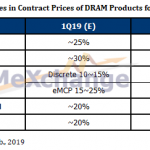 DRAM pricing may be due for a fall as major DRAM manufacturers consider production capacity expansion and higher capex spending, which can be used to increase capacity. But it will take more than one supplier to bring down prices significantly, and it likely won’t happen for at least another 12 months. 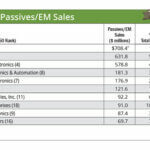 IC Insights recently raised its annual semiconductor capex forecast from 12 percent to 20 percent. The DRAM/SRAM segment is expected to lead in capex spending at a projected 53 percent growth rate. Currently, only SK Hynix has announced a capacity expansion for DRAMs. During a second quarter earnings call, the company said it’s not enough to “just implement technology migration to fully meet the demand” so the company will need to increase capacity. SK Hynix also noted it is building a new DRAM facility in Wuxi, China, which is slated to be completed by the fourth quarter of 2018, at the earliest. SK Hynix said its DRAM capacity in 2017 will increase between three to five percent and it is reviewing whether it needs to adjust its capex up. Both Samsung and Micron didn’t share their future DRAM production capacity plans during their second quarter earnings calls. Samsung noted that the industry can infer from its first half expenditures that annual capex is expected to increase significantly year-over-year but it cannot provide a 2017 annual capex plan at this time. 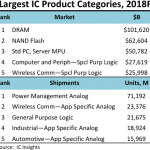 IC Insights believes both companies will eventually add DRAM wafer start capacity to protect their market share. Matas believes Samsung will build new fabs. “Samsung spent $11 billion on capital spending in the first half of 2017. Even if they did half that or little more than half for the year they’d be at a $15 or $17 billion run rate, which is significantly more than what Micron and Hynix are spending," he said. As for Micron, the company said it doesn’t have plans to increase DRAM production capacity. “Micron said they aren’t going to build any more DRAM fabs regardless of the market,” said Matas. He believes the company will try to increase DRAM output by reducing feature size which, in turn, reduces die size. Here’s why Micron may be reluctant to jump on the capacity bandwagon. Profitability. IC Insights reported that Micron posted a net income of $1.65 billion on $5.57 billion in sales—a 30 percent profit margin—in its fiscal 3Q17 (ending in May 2017). 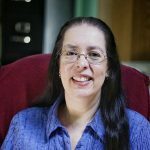 This is in comparison to a $170-million loss in fiscal Q416, ended August 2016. SK Hynix experienced a similar turnaround. In 2Q17, the company recorded a net profit of $2.19 billion on sales of $5.94 billion—a 37 percent profit margin, said IC Insights. It reported a net profit of only $246 million on $3.39 billion in sales one year ago in 2Q16.